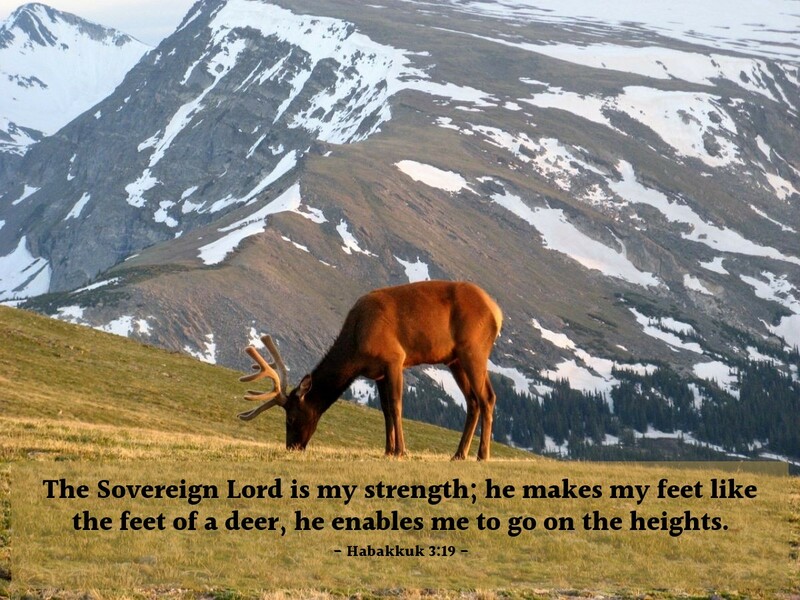 The Sovereign Lord is my strength; he makes my feet like the feet of a deer, he enables me to go on the heights. "The Lord is my strength!" Wow, what power we have in his abiding and empowering presence in the Holy Spirit. Sovereign God and Almighty Father, be not only my strength, but the strength of those battling depression, grief and despair. I ask your blessings especially and specifically for _________ at this time of difficulty and struggle. Through Jesus I ask this. Amen.